Dr. Frawley has once again demonstrated his unique talent of digesting ancient Vedic knowledge and feeding us this understanding which nourishes our body, mind and soul. 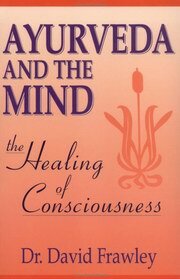 This text explores how to heal the mind on all levels, from the subconscious to the superconscious, using diet, impressions, mantra, meditation, yoga and many other methods to create wholeness within the individual. Dr. David Frawley is respected author in the field of Vedic science and yogic spirituality. His works cover a broad range including Ayurveda, Vedic Astrology, Yoga, Tantra, Vedanta and the Vedas themselves. He is also one of the main founders of the American council of Vedic Astrology. Dr. Frawley is director of the American Institute of Vedic Studies in Santa Fe, New Mexico. "Opens the doors to a newenergetic psychology." - Dr. Deepak Chopra, M.D.